LENT is a time for worship and mission, and the Imprecatory (songs of injustice), and Lament (songs of grief) Psalms remind us not only to worship the Lord and trust him in our own sin, struggle, and injustice, but to engage and bring the redemption of the gospel to those in need. Enjoy our musical rendition of Psalm 22 that focuses on the cross, our gain! We are standing here on holy ground. If you’ve ever wondered what Jesus actually said in the Garden of Gethsemane as He wrestled with bearing our sins (the gospels only give a brief synopsis), you probably have it here. Jesus first words from the cross (like in this Psalm) were “My God, My God, Why have your forsaken me?” His last words from the cross (like in this Psalm) were “It is Finished.” In Jewish tradition, to quote the first and last line of a Psalm is to imply that you are speaking, referencing or fulfilling the whole thing in your speaking. In this Psalm, David groans in his suffering, as we all do, but ultimately his words point to the payment for all suffering in Jesus’ death and resurrection. Ultimately, Jesus’ death is a song for all those who are suffering. He understands your cries and he has compassion on, with, and for you. 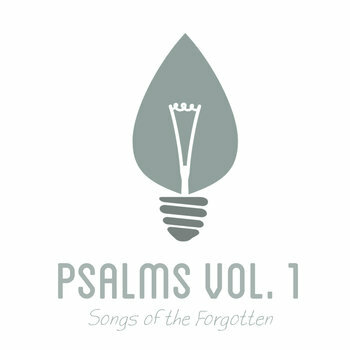 Download our Songs of the Forgotten album now and experience his peace as you sing through your season of suffering and find Jesus’ healing in the midst of it all. PSALM 22 | WHY HAVE YOU FORSAKEN ME? but you do not answer, and by night, but I find no rest. Save me form the mouth of the lion! You have rescued me form the horns of the wild oxen!